In The Origins of Totalitarianism, written just after the United Nations ratified the Universal Declaration of Human Rights, Hannah Arendt expressed her doubts that a system of universal, internationally enforced human rights would ever work. Anyone not protected by his or her own nation-state (for instance, the stateless and refugees) has nowhere to turn, Arendt stated. Susan Gzesh asks how we should assess the modern human rights regime as it has developed over the past 70 years, given such facts as the turning away of refugees by the European Union and the United States; the rise of right-wing regimes in Hungary, Poland, Egypt, Turkey, and elsewhere; and the repudiation of international leadership by the Trump administration. Valet parking is available for $34. 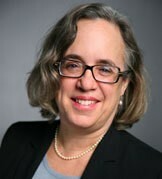 Susan Gzesh is executive director of the Pozen Family Center for Human Rights and a senior lecturer in the College, appointed in 2001 after two decades practicing law and teaching as a part-time lecturer at the University of Chicago Law School. She directs Pozen Center activities including the Human Rights Internship program, research, teaching, events, fundraising, and outreach. She coordinates the center’s Human Rights Study Abroad program in Vienna, Austria, supervises students on BA and MA theses, and advises on PhD dissertation projects. Gzesh’s research interests include the interrelationship between human rights and migration policy, the domestic application of international human rights norms, and Mexico-US relations. She teaches courses on contemporary issues in human rights, the human rights of aliens and citizens, human rights in Mexico, and the use of international human rights norms in the United States. She received an AB from the University of Chicago in 1972 and a JD from the University of Michigan in 1977.